Researchers at University of Edinburgh and Method Studios have developed an artificial neural network system that helps animate video games. As shown in the video shared by the researchers, the animated character developed using PFNN performs natural-looking movements such as walking and running over rough terrain, jumping over obstacles, climbing over large rocks, and crouching under low ceilings. The researchers revealed that PFNN still cannot deal well with complex interactions with the environment, in particular, making precise hand movements such as interacting with other objects in the scene or climbing up walls. 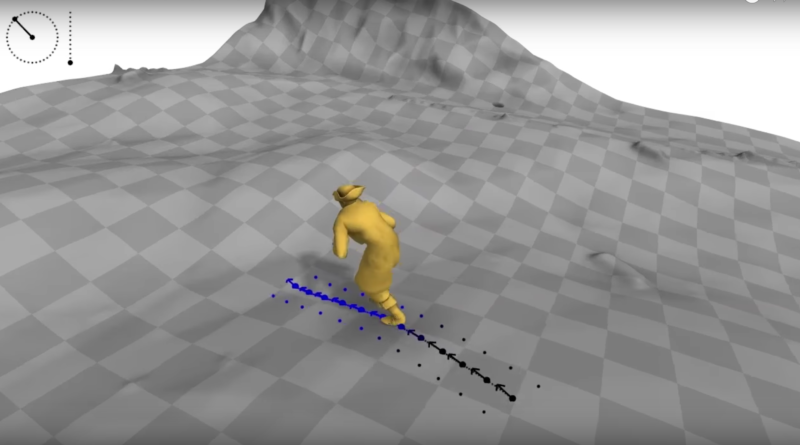 The researchers hope that one day their work could be applied to physically-based animation, allowing an animated character to move around terrains in different physical conditions such as unstable rope bridges or slippery floors. They also hope to see their work applied in other fields, such as videos of periodic data, for instance, Functional magnetic resonance imaging (fMRI) images of heartbeats.